Need money? 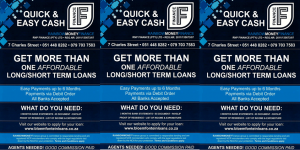 Get more than one affordable loan from Rainbow Money Finance in Bloemfontein. Apply for a loan today. Fax ID, latest payslip and 3 months’ bank statements to 051 448 8282 or email to rainbowmoneyfinance@gmail.com.